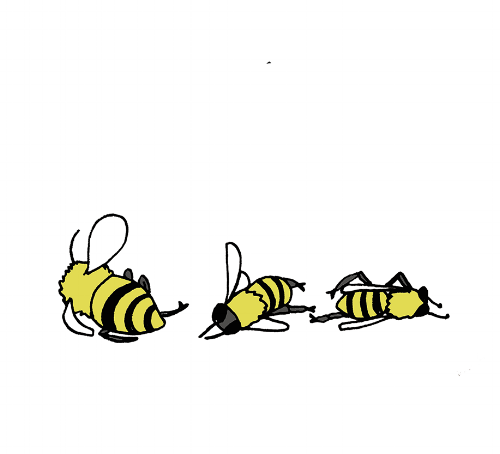 So that whole "one third of all bees are dead and we're all going to starve to death when they go extinct" thing that I thought was true, turns out isn't exactly the whole story. Thankfully the bees aren't quite doomed just yet. Although cleaning up our act in an effort to help our furry little pollinator mates would not go astray! I'm super happy with how this all turned out, from the illustrations to the layout and colour scheme. I also learnt a bunch of stuff in the process, always a good thing!